This bright 2 bedroom & Den corner suite offers nearly 1150 sq.ft. of living space. Enjoy your northwest, forest outlook and relax to soothing sounds of a tranquil water feature below. 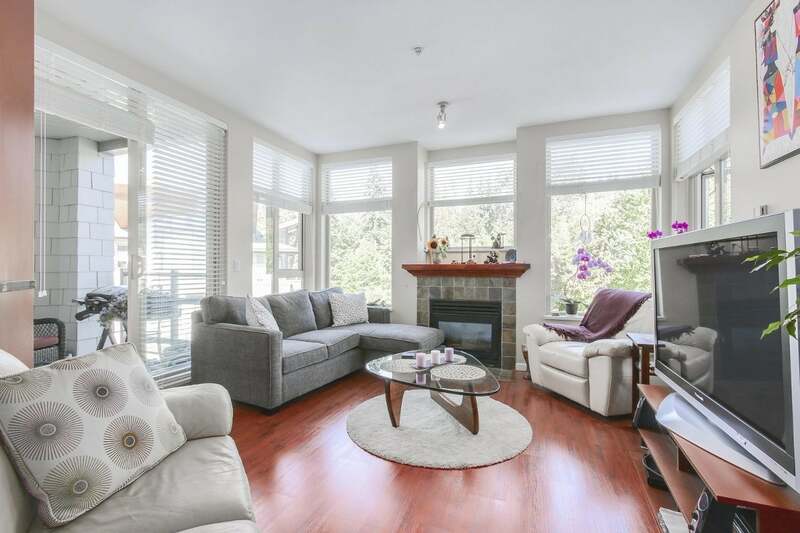 This open concept suite features a separated bedroom layout with bonus den/office space 9’ foot ceilings, S/S appliances, granite counter, gas fireplace, 2 generous sized balconies, and ample windows to invite natural light. Master bedroom features walk-in closet, en-suite soaker tub and separate shower, not to mention private patio. Includes 2 side-by-side parking stalls and 1 storage locker, amenities including party room, gym & sauna. Close to proximity to hiking trails, Cates Park, and shopping. Open house Sat Aug 27th 3 to 4:30PM & Sun 2PM to 4PM.